Larry started his career in Marketing at Dragon Edge Group – Naturale Labs Inc. in November 2014 to handle Beach Hut Sunblock, where later that year the brand declared a decline of -28% in sales. To turnaround the business, Larry developed impactful campaigns, and one of them is the radical Beach Hut in Space campaign, whichlaunched the first sunblock in space. The release of the video in February 2017 was supported by a microsite, boosted online ads, billboards, PR influencers, trade displays and below the line events, which all had one singular message; Beach Hutis the First Sunblock in Space. Larry also successfully led a targeted marketing campaign in the island of Boracay, a stronghold for the brand. The goal was simple and that was to paint Boracay orange. Starting from 2015 up to September 2017, Larry and the Beach Hut team have installed a total of 450 Beach Hut umbrellas, threeport tents, and 14 store signages while dominating trade displays and island activations. They have also continuously developed and maintained the Beach Hut Bar by coming out with fresh new ideas yearly. In effect, Beach Hut Sunblock sales in Boracay grew with a Compound Annual Growth Rate (CAGR) of 42% from 2014-2017. Overall, Larry was able to turnaround the Beach Hut Sunblock business, starting with the brand recently posting a higher growth rate year to date(September 2017) than previous years. He was also mindful that marketing spending should always be efficient. In 2016, Beach Hut’s Earnings Before Income Taxes (EBIT) grew by a tremendous 4998%, and in 2017 EBIT continued its growth by 55%year to date (June 2017) versus the same period last year. With his excellent track record in handling Beach Hut, in 2016 Larry’s role expanded with another brand placed under his care,Bite Block Insect Repellent. The brand was struggling with a flat growth of -0.34% in 2015. To address this, Larry repositioned the brand and strengthened its USP of being the safer alternative to other insect repellents. In 2016, the team started promoting directly to Mothers, by joining mommy events including Mommy Mundo, Grand Baby Fair and medical events such as Philippine Dermatological Society congress. The brand experienced significant growth in sales since Larry took over, achieving a Compounded Annual Growth Rate (CAGR) of 38% in 2015-2017. As with Beach Hut, Larry was also very particular in how they spent their money and achieved growth in Earnings Before Income Taxes (EBIT) by 66% in 2016 vs 2015 and already by 160% in year to date June figures in 2017 vs same period last year. With all his achievements, Larry is committed to building and promoting brands, not only with sales growth in mind, but also thoughtful of long-term brand building and cost efficiency leading to increased profits. Being assigned as Brand Leader to the Listerine brand at a challenged time, Ria embarked on a mission to deeply analyze business deterrents and think of long-term creative solutions to drive progressive household penetration. Her analysis led to the conclusion that the brand was declining because consumers found the product benefit redundant to brushing, which did not make them appreciate the higher price and stronger taste of Listerine. From this, Ria prioritized issues based on business impact. First, was to crack the right price point that will accelerate the penetration of Listerine among Millennials by pricing the 250ml bottle at 99 pesos and announcing that with a support plan. Next, was re-launching the brand with a strong global idea called “Bring Out the Bold,” but also localizing what it means to Filipino Millennials by relating it to their “Bold Food Adventures”. This creative new idea was brought to life with a new celebrity endorser, a partnership with Fox Channels, multiple digital platforms, and a user generated campaign on social media. Finally, recovering the business also means completing the portfolio by launching Listerine Zero and Total Care Zero to address consumer issues on taste. These initiatives reversed the decline of Listerine to +22% in 2016, making it the fastest growing J&J brand in the Philippines and the fastest growing Listerine in ASEAN. These plans also allowed Ria and her team to reap multiple recognitions internally and externally including Brand Manager of the Year, Brand of the Year, J&J James Burke Awards AP and Global Festival of Media Awards to name a few. Ria also steered pioneering meaningful marketing work with Johnson’s Baby Brighter Future. Johnson’s Baby is one of the most challenging but also most rewarding brands to handle knowing that each project can impact the lives of our babies, our future. Ria led the grass roots education campaign called Johnson’s Baby Brighter Future. Ria and her team co-developed baby care modules with the Integrated Midwives Association of the Philippines (IMAP) and the Association of Women’s Health, Obstetric and Neonatal Nurses (AHWONN) that were delivered by volunteer IMAP Midwives every weekend in barangays with low mortality rates around Luzon. The modules were explained simply, inspired by department store demos via baby care carts, Johnson’s products and baby medical dolls. The activation did not only drive baby care education among mass moms, it proved to be a successful model to consistently support the eight categories Johnson’s Baby participates in. This campaign has inspired sustainable baby care education, with the module now explained via digital articles and YouTube videos. This initiative was also recognized by multiple award giving bodies in APAC including ARAW Values Awards, Tambuli and PANATA Awards. As a marketer, there are three things that Sierra values the most: the audience, the message, and the way the message is said. To create a campaign that would extend and sustain fans’ loyalty to the TV show On The Wings of Love, Sierra made sure that she and her team listened to the sentiments of fans, and they were able to create OTWOLISTA.com, a successful after-show habit that kept the fans’ love burning, long after the show ended. OTWOLISTA.com has since won Gold at the Anvil Awards and Award of Excellence. In Revlon: Love is On, Sierra pushed for a new way of localizing a rather sensuous global campaign. To re-launch the brand, she emboldened Filipinas to courageously express their true selves, and their true love on social media, on billboards, and even in Times Square New York during Valentine season. By daring women to turn on love, the team successfully increased awareness of the brand and its product line. The campaign won several awards including Bronze, Best Use of Branded Content by a Media Owner in the 2015 South East Asia Spark Awards. Best Campaign by Media Owner, at the Southeast Asia Spark Awards. Bagging Gold for Best Media Solution category at the 2016 South East Asia Spark Awards, #McdoBonfries campaign was launched to enable students and alumni alike to be more involved in the UAAP Cheerdance Competition—even though they couldn’t be physically present in the arena. Aside from supervising all the elements of the campaign and the quality of communication materials, Sierra was also part of the live stream team who was responding real-time to whatever was happening on the court. During the monumental visit of Pope Francis in 2016, Sierra and her team went beyond using digital for updates on the Pope’s whereabouts. They took it to the next level by utilizing digital to connect the Pope with the Filipino people. Sierra made sure that their online communications responded to the country’s emotional need, to express gratitude to the Pope. Sierra was on top of collecting heartfelt messages from Filipinos all over the world. These messages were compiled into a beautiful Book of Thanks, which was personally handed to the Pope, which was a gift from a truly grateful nation. This heartfelt campaign was given Platinum Anvil Award for Public Relations Tools (Digital) at the 2015 Anvil Awards. In every campaign Sierra makes sure that she listens to the right market, persuading them to act (whether to engage, to buy, and yes, even to feel), and ensures that the campaign is relevant to them (via choosing the right channels, mining the best insight, and carefully crafting the execution). By applying these three, Sierra has and will continue creating success for her company and for partner brands. Joseph Albette R. Buddahim is the first Mansmith Young Market Masters Awardee for Digital Business Building, for growing IPG Mediabrands (Marketing Agency network) digital business by 3x to 5x year-on-year from 2014 to 2017; while growing the Sales/Shares/Profits of their Clients in the Digital Age. Albet was the second employee after the CEO was hired in 2014 with the role as Chief Digital Officer. In an industry where talent is scarce and staff turnover is high, Albet’s talent strategy was to hire and coach young brilliant individuals from diverse backgrounds, training them to pass digital certifications such as Google Partners and Facebook Blueprint. From a one-man team, the digital team has now grown into 37 dynamic, empowered individuals with different expertise. He established and provided systems, processes, rewards and recognition for the digital team to always Play-to-Win. He created the five years digital growth map where he saw the opportunity of expanding the media agency’s traditional offer of digital media strategy, planning and buying to include an all-encompassing Digital Business building. He launched IPG Mediabrands digital agencies in the Philippines for social media (Society), mobile (Ansible), search & performance media (Reprise) and programmatic (Cadreon). Under his leadership, these digital agencies collaborated to Play-to-Win-As-One by synergizing their capabilities to achieve the clients’ business goals. This strategic Play-to-Win-As-One enabled the digital business unit’s contributions to the Total Company Revenue to grow from 4% in 2014, to 47% in 2017. Having worked in the client side for most of his career, Albet provided insights to meet/exceed Client’s expectations, particularly the discipline of always putting the business end-goal on top of the agenda and ensuring all marketing communications led to achieving the KPI’s. This approach helped in IPG Mediabrands many wins (41 New Clients) in 2016, three of which were awarded during the Pitch presentation. In 2017, IPG Mediabrands is the fastest growing Agency with more Wins and even gained clients from Asia/Regional, USA, Canada and from the Middle East. 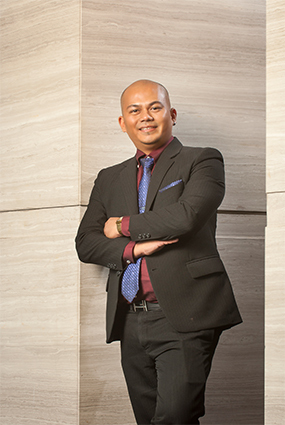 Throughout his Career, Albet has been blessed with inspiring leaders (Venus Navalta, Donald Lim, Pauline Lao, Anton Diaz, Francis Uy, Kshitij Mulay, Tina Alvarez, Will Esterly and Christine Eugenio), who trusted him with challenging roles and responsibilities that developed his capabilities. He has also been very blessed to have met generous friends who helped and gave him opportunities to pursue his dreams (Jim Lafferty, Epifanio Qua Hiansen, Jos Ortega, Ruby Ramores, Faith Abano, Edylin Young-Chua, Edwin Mapanao, Jojo Ajero, Gil Chua, Grace Abella-Zata, Rachel Renucci-Tan, Amor Maclang and Hans Roxas-Chua). At work, he has been lucky to be able to attract and supported by High-Potential, High-Performing team mates and fellow Marketing Professionals. ANTHILL (Alternative Nest and Trading or Training Hub for Indigenous and Ingenious Little Livelihood Seekers) was born when Anya and her co-founder acknowledged that there is a need to address the social problem of cultural degradation, particularly in the lack of cultural transmission and continuity of weaving traditions among the younger generation. Through an innovative and sustainable ecosystem business model, ANTHILL serves as a 1) Materials Source of Philippine textiles, 2) a Design Centre bringing together Design Collaborators in fashion to upscale the value of our weaves through product development and innovation, 3) a Central Market Place for our partner communities to have access to market and expand their reach and distribution, and 4) a Community Enterprise Developer. ANTHILL works for cultural continuity and sustainability by providing capacity building workshops through our Community Enterprise Development Program. These are courses on 1) Cultural Appreciation, 2) Product Design and Innovation, 3) Business Skills Transfer, 4) Master and Apprentice Program and 5) Financial Literacy and Savings Program. ANTHILL also works on providing market access to over 400 artisans within its ecosystem partners among cooperatives, micro- enterprises, and production partners with local distribution channels such as Tesoros Makati, Honest Henry Cebu, Mactan International Airport. Anya aims to put Philippine textiles further on the global map through establishing the ANTHILL Sustainable Livelihood and ZerO Waste (SLOW) Fashion Institute, a culture and community based training and design institute supporting partner communities in developing entrepreneurial capacity and ensuring a sustainable supply chain and readiness to scale. Anya played a vital role in sparking a movement of contemporary weave wearing in the Philippines, through ANTHILL’s powerful overarching campaign WEAR YOUR TRIBE WITH PRIDE that is filled with customer content creation and participatory digital storytelling. Anya and her team leverages on personal customer service, made to measure options, learning sessions, store-y tours and heart woven conversations in efforts to always connect to markets and various stakeholders as it constantly builds its growing community of proud weave wearers. Anya and ANTHILL also contributes on elevating the sense of pride for culture among the younger generation of Filipino weavers through their Master-Apprentice program, an incentive program that augments the income of the Master Weavers by 20% with the condition of teaching a younger apprentice how to weave. This has led to 57% increase in membership, half of which are in their youth. More importantly, ANTHILL has also created positive social change in the lives of our partner weaving communities. Under Anya’s leadership and efforts, ANTHILL saw an income growth averaging 125% among its community enterprises year on year. ANTHILL reinvests 80% of its total income to capacity building and purchasing of raw materials from its partners. For Anya and the ANTHILL team, fabrics are more than just ingredients for fashion. It is a way of life; it is where culture meets style. She is committed to continue weaving business and traditional skills through community entrepreneurship. More importantly, she is dedicated to nurturing the Filipino craftsmanship and to keep on weaving dreams. Sales and Marketing Head Global Food Solutions Inc.
From its inception, Global FoodSolutions, Inc. (GFSI) has already envisioned to be a world-class food manufacturing company and make Filipino cuisine known in the mainstream market. Being a new entrant in the food categories it manufactures, distributes and exports, and with only eight years of commercial operation, it boasts to be the only manufacturing company in its product categories to be certified with eight international certifications namely Good Manufacturing Practices (GMP), Hazard Analysis and Critical Control Points (HACCP), Food Safety System Certification (FSSC: ‎22000-2010), SEDEX, ULSAC (Unilever Sustainable Agricultural Code), URSA (Unilever Responsible Sourcing Audit), HALAL in the food categories of tropical fruit preserves, frozen fruits and vegetables, pasteurized shrimp paste and salted tiny shrimp fry and E.U. accredited in its pasteurized shrimp paste and salted tiny shrimp fry. It has also been successfully inspected by United States Food and Drug Administration(USFDA) and US Veterinary Inspectors to qualify as accredited supplier of all USA military bases worldwide. GFSI has developed itslocal popular and favorite delicacies: Dani’s brand buko pandan salad and buko and fruit salad, and BUENAS brand tropical fruit preserves, frozen fruits and vegetables as well as sautéed shrimp paste, which are all exported to more than 35 countries. Nicole, as Vice President for Business Development andhead of Sales and Marketing, has played a vital role in the aggressive growth of the company throughout the years. Nicole offered value-added service, assisted in creating brands and new products for clients to achieve continuous sales growth and double-digit growth from 2013 to 2016. Nicole is also at the forefront of product development for GFSI. Together with the R&D team, Nicole has developed more than 150 products for both corporate and retail markets. Given the limitations of agricultural products, Nicole lead GFSI to diversify their product line with non-agricultural and more basic products such as sauces and condiments as well as bakery and delicacy products. Through Nicole’s efforts, GFSI was able to achieve 31% total sales growth in 2014 and has been growing year on year, delivering a 31% sales growth in 2016. Nicole cascaded to the Global Family the value and practices of passion for excellence. Nicole sets the bar for excellence high in order to inspire and motivate her people to always strive for the best in all their endeavors. Her love for food and country will always serve as her inspiration to develop world class products, and hopefully one day, Filipino dishes and delicacies will be one of the favorite cuisines of the world. When Nicco joined Resorts World Genting in 2015, the average response rate to the company’s promotional offers was 5% owing to an outdated segmentation strategy, unclear reinvestment strategy, and unscalable marketing communications capabilities. To address these issues, Nicco embarked on a massive exercise in re-segmenting the customer database.Nicco took bold moves in convincing the top management to reconsider how their company views customer relationship management in today’s highly-connected digital world by investing in data science and marketing technology. Using both structured and unstructured data, the segmentation strategy became robust by finding behavioral patterns among customers and creating highly relevant offers to each segment. This led to the personalization of the customer experience which resulted to a higher response rate. Nicco also addressed the issue of the limited capabilities of their marketing infrastructure. He acquired Salesforce Marketing Cloud technology to deliver fully automated marketing campaigns through e-mail, SMS, mobile app push notifications, digital advertising and social media. The communication strategy was simple, automate the direct channels (e-mail, SMS, mobile app) to deliver the offer to customers. The tool was setup to identify customers as well as their value, and media preferences. Inactive customers – those who did not open an e-mail, mobile app or respond to an SMS campaign – are automatically targeted with a digital ad across the major digital channels (Google search, programmatic display networks, social media sites). Nicco is leading the digital transformation initiative of the 52-year-old company. He established a new department within the organization responsible for all digital initiatives including customer facing projects and the digitization of internal processes. He also initiated knowledge sharing forums among senior leaders to increase the understanding of digital technologies and how it can be further monetized. His initiatives have contributed to Resorts World Genting’s business growth , making his projects crucial to its overall strategy. The initiatives helped increase response rate to offers from 5% to 22%, increase in e-mail open rate from 8% to 38%, a 10-fold increase in repeat visitation from existing customers, decrease in re-investment rate from an average of 30% to an average of 6% and ultimately, increase of gross revenue by 6% in 2016 despite the challenges in their industry. Overall, Nicco’s leadership and initiatives have helped the organization to change and innovate to be future-ready – placing data and digital at the heart of the business. As a single man who does not do his own laundry, Jonn is the antithesis of the target market of laundry. 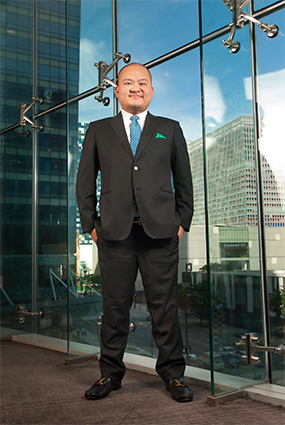 Jonn had to humble himself to realize the success of heritage brands like Ariel and Tide in the past, which also gave him fresh eyes into the business that has led him to lead P&G laundry into its best year in the past 10 years. With P&G laundry experiencing flat to declining share over the past 10 years and its category captaincybeing threatened, Jonn had to take a challenger mindset coalescing the P&G marketing model and a new way of marketing. First, Jonn brought about a synergized portfolio approach. This was done via 1) synergizing portfolio behind promo timings that would lead to less internal cannibalization between the two brands, 2) synergized trial efforts to find cost efficiencies between the two brands while still delivering targets3) defend against each other during launches to help ensure that both brands have sufficient inputs.This lead to both Ariel and Tide sourcing from competition versus sourcing from each other. Jonn also challenged globally-accepted principles; he knew that Tide’s success as a global brand and with Filipino loyalists was based on its cleaning premise, but to convert users of competition, it needed a breakthrough in freshness. Since March 2017, Jonn has launched two important campaigns – the Mas Mabango Campaign and Perfume Launch.Though still under a global model, what is distinct with this initiative is that Jonn was able to 1) create a new scent variant other than an existing Downy variant and 2) was able to minimize cannibalization with the existing Downy variant via calling it Tide Perfume while still driving Tide’s core of cleaning on top. Today, Tide has been recognized as one of the best growing brands in P&G across brand metrics. Lastly, Jonn also proved that growth is not only a result of new line extensions or new SKU launches. He had a challenge of growing Arielwithout any new SKU launches but found growth from the brandby1) going back to where the brand stands for and 2) providing this equity to the right target audience. Jonn launched #AhonPinay in TESDA aiming to give women equal opportunity in male-dominated jobs, and #JuanWash which promotes gender equality in the household empowering men to share the load. This proved that one did not need new launches to grow, only solid, consumer-grounded initiatives. Jonn has broken conventions and redefined how to win in the laundry segment by marrying the strong and rich machine of P&G marketing tradition to the innovative, pioneering, challenging mindset of the new. Together with his team, P&G laundry broke a 10-year high record and continuous to grow behind these strategies. 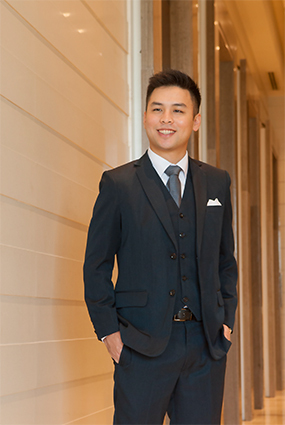 Upon graduating from the Unilever Management Trainee program in 2009, Jonathan was promoted to Assistant Brand Manager handling the Pond’s facial cleansing and moisturizers businesses where he successfully grew both by double-digit via a face cleansing and whitening moisturizer market development educational campaign. After two years, he assumed the role of Brand Manager-Male Grooming, handling the male grooming portfolio (focusing on face) and developing the first-ever male grooming strategy built on four key pillars: 1) sharpened portfolio, 2) market development 3) digital and 4) in-store. His strategy work paved the foundation for Unilever to win with at least 70% share in the category. It has been used as a framework for sustainably growing Male Grooming in the Philippines. 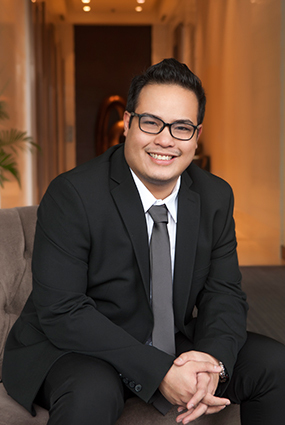 Jonathan was then assigned to Unilever Myanmar as Senior Brand Manager for Skin Care and Skin Cleansing. He successfully crafted the Face Care Repeatable Model for Pond’s and Fair and Lovely –with regular consumer connects to understand Myanmar women’s face regimen. He used insights gathered to localize global initiatives, addressing specific usage triggers and barriers amongst Myanmar women. He also led the successful launch of Lifebuoy soap to be the No. 2 brand in six months by single mindedly focusing on the core benefit – “protects from 10 diseases better than ordinary soap” -across all key channels for three years. 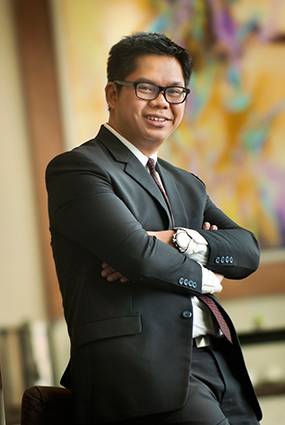 Jonathan is currently the Marketing Manager for Unilever Personal Care Myanmar. During his leadership, he has renewed the focus on the core brands for personal care – (four categories: hair, oral, skin cleansing and care). He landed the ‘Core of the Core’ program in Myanmar by focusing on the top 30 SKUs of the business –activating them to drive awareness based on the key category drivers, expanding distribution, consistently supporting these in the right media channels especially in rural Myanmar and scaling up trial via on-ground behavior change programs (rural van, mobile movies). Because of his understanding that Myanmar is a leapfrog market that is rapidly evolving, he spearheaded and pioneered the launch of ‘future core’ innovations that will eventually become the core of the business based on upcoming trends seen in Metro Yangon including body washes, moisturizers, lotions – making Unilever a first in Myanmar for these categories. He pioneered Insight Activators in Myanmar – leading four workshops within one year. In a country lacking market data, the best way to crack market development is via sharp and constant consumer connects. One output is on how to build a deep Rural Footprint. On its 3rd year, the Rural Market Development Plan is on track to reach 70% of villages via rural media (festivals, VCDs), experiential and distribution programs. His pioneering leadership and sustainable form of driving business resulted in Personal Care Myanmar growing to double digits in the last three years. Unilever holds theNo.1 position in three out of four categories. Above all, his small actions helped make a big difference in Myanmar people’s lives by providing them everyday solutions to look and feel better and get more out of their lives. With a category led by local players backed by strong heritages, consumer affinity, and products that are widely available and accessible at affordable price points, the ambition to drive exponential growth for global brands was a challenge. 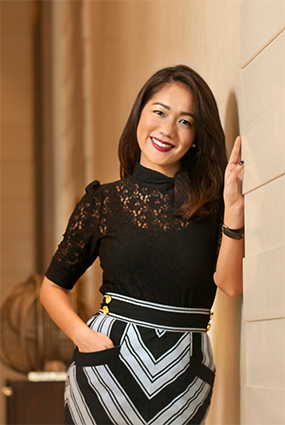 As a category manager handling exciting global brands in the Philippine and Indonesian markets, Michelle turned to Mondelēz International’s unique philosophy of “The Power of Big and Small”. This meant leveraging on the scale of a global brand, but applying the speed, creativity, and agility of a fresh new start-up. Given the similarities of the two markets in terms of brand stage and market dynamics, Michelle synergized in areas whenever possible such as rolling out the same communication message, activating and creating new occasions, driving accessibility and fixing the product portfolio to meet market gaps. By sourcing from the company’s existing plants worldwide and leveraging on global toolkits, she was able to leverage the “Power of Big”. Michelle and her team went on hyper drive, churning out creative and fresh ideas that would elevate brand relevance for their global brands. With the “Power of Small”, the speed and mentality of a small start-up, Michelle and her team designed efforts to be innovative and to stand out locally. One example of the “Power of Small” is the Toblerone Blank Pack campaign which is recognized as an innovative campaign which resulted in Toblerone being a preferred gifting brand during the 2016 holiday season and consequently bagging an award within Mondelēz International. Toblerone Philippines also became one of the first FMCG brands in the Philippines which rolled out multiple and customized video campaigns, reaching a targeted audience with very specific and relevant messaging leading to a double-digit uplift in brand consideration. The marketing campaigns are not only innovative, but also sustainable, as the company posted double-digit growth in both markets in 2016to2017. In the first half of 2017, the Philippine market is growing7.5 times faster vs. 2-yr CAGR while Indonesia is growing10 times faster vs. 2-yr CAGR. Market shares, based on Nielsen data, are growing in both markets and the current respective standings as no. 2 and no. 3 players in the Philippines and Indonesia are solidified through a wider gap vs. the other players. 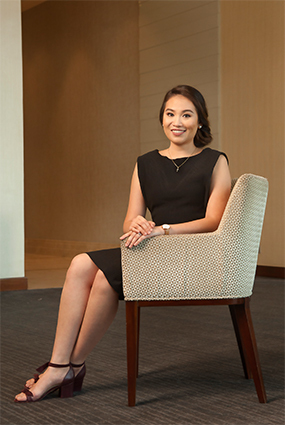 By managing a young category like chocolates, Michelle became more resourceful and tenacious. She learned that winning in the market is about thinking big and acting nimble. And in her case, it is through leveraging on the scale of a global brand while acting with the speed, creativity and agility of a small start-up. Country Marketing Manager Nike Philippines Inc. Under Patrick’s leadership, Nike launched several truly distinctive and innovative brand campaigns in the Philippines, focused on two of Nike’s most important performance categories: Basketball and Running. For Basketball, the key was disrupting the marketplace with hyperlocal innovation. Believing there was an opportunity to create a distinctive and desirable product by combining the scale and power of global athletes with strong local insights, Patrick and his team launched the Lebron 14 Agimat in June 2017, the first ever Philippine-inspired Nike Lebron basketball performance shoe. The Agimat was inspired by the talisman that ancient tribal warriors would wear to protect them from harm during battle. Nike launched a disruptive marketing campaign to bring the product into the minds and hearts of Filipino ballers, rolled out into three phases: Tease, Excite and Ignite. The campaign was one of the most successful basketball shoe launches in the Philippines, resulting in the shoe being completely sold out in less than 2 hours across physical and digital retail channels. Patrick’s team also recognized the importance of bridging the gap between consumers and Nike’s athletes was critical. The team spearheaded athlete tours that helped connect Filipinos to two of the biggest basketball stars of this generation: Kobe Bryant and Lebron James through the Mamba Mentality Tour and Strive for Greatness Tour in 2016 and 2017. Patrick’s team also led the launch of Nike’s Rise Campaign in 2015, the country’s first-ever basketball documentary meets reality program that put a spotlight on the thousands of young ballers who have the talent and potential to become great but are limited due to lack of access and opportunities: lack of professional coaching, lack of usable basketball courts and hoops, lack of proper equipment or even decent basketball shoes. Nike Rise episodes premiered live on YouTube and aired in primetime slots on TV5.Not only did the campaign become one of TV5’s most watched programs, the impact of the campaign spread to thousands of more players throughout the country who were inspired to play more basketball and rise beyond doubts. For Running, the team launched an activation that would challenge Filipino runners to their limits via the Unlimited Manila Campaign, where Nike built a 200-meter LED enabled running track called the Unlimited Stadium, in Manila’s running hub, Fort Bonifacio City. Runners competed against digital avatars of themselves that ran as fast as their previous lap, thereby pushing them beyond limits. The stadium became a venue for massive trialing of the Lunar Epic Flyknit, Nike’s shoe innovation. The entire running community of Manila flocked to the Stadium, seeing more than 6,000 runners in 17 days, and hundreds of athletes achieving personal bests and breaking thru their own barriers. The Unlimited Stadium Manila activation was internationally recognized as an outstanding creative activation, winning 15 Cannes Lions Awards in 2016, including four Gold Medals. As a result of these brand campaigns across multiple categories and under Patrick’s leadership, Nike has reinforced its position and status as the No. 1 sports brand in the country.